The XR Pro is a powerful hybrid that is easy to swing, and it will always offer you some impressive distances. Its design, loft, length and even the weight distribution makes it a perfect choice for any golfer that is looking for something to replace a 5-wood or 5-iron. And if looks also matter to you the stylish matte black finish will also impress you. The size is what will make the first impression when you get the XR Pro from the box. This club looks and feels smaller than typical hybrids from other brands. Although this is a shortcoming for some golfers, it is still an advantage as it makes it easier to swing and handle. 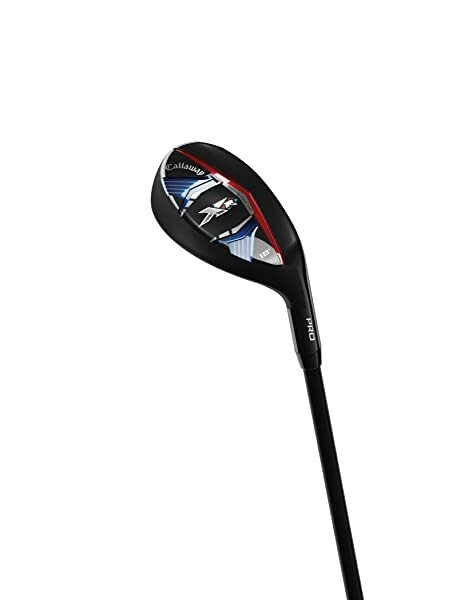 And apart from the size it also features Hyper Speed Face Cup, Higher MOI, with Lower COG and Internal Standing Wave that combine to make it one of the best hybrid golf clubs. For the shaft, the company uses a durable graphite material, and it is available in still and regular flex options, and you also get to choose from four different lofts. 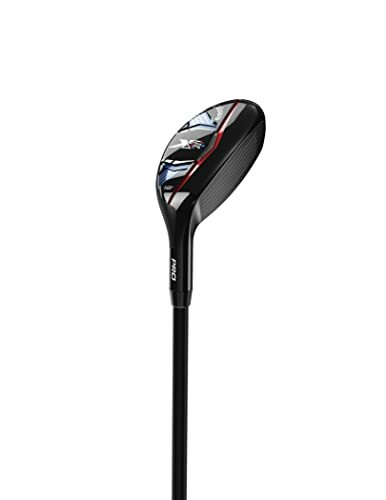 Higher MOI: A complete redesigning of the head shape creates one of the highest MOI that you can get in a hybrid. And this helps to make the club very forgiving. Also, the redesign places the weight lower and around the perimeter to give the club a low center of gravity. Hyper Speed Face Cup: Callaway uses a new generation of their forged hyper speed face cup to maximize the ball speed across the face. And so you can always be sure of maximum distances, and forgiveness regardless of the impact location. Shaft: This hybrid comes with a durable graphite shaft that will last for as long as you own the golf club and the company makes it in both the regular and stiff flex options. 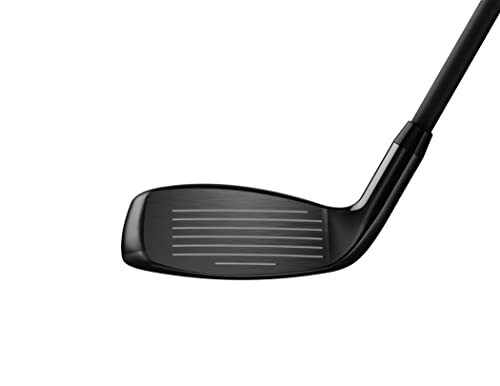 Loft: For this hybrid, you will get to choose from four loft angle options which are 18, 20, 23 and 16 degrees. The lower center of gravity and high MOI help to make this hybrid more forgiving. Callaway uses a re-engineered Internal Standing Wave to make this golf hybrid more versatile and also to lower the spin and increase the distance. The shallower face cap is also more forgiving from the fairway. It is a descent rescue club that is easy to draw and fade. Golfers get to choose between the regular and a stiff flex. The clean and simple look is enough to boost your confidence. It is smaller than typical hybrids. Some golfers complain that the shaft is a little "stiffer" than the usual stiff flex. You might need to change the grip as it is still not the best. The longer shaft design might affect consistency. Before you go out to buy this Callaway hybrid, it is important to keep in mind some of the common complaints by golfers. They include issues like the grip not being the best quality and the fact that it feels and looks smaller than the typical hybrids. But, the good news is that there is no significant shortcoming with this golf club, and so it is the best hybrid golf club for any golfer looking for a useful rescue club.